Well it’s been quite a while since we started the Tiny Owl Knits KAL and it’s time to set a party date! 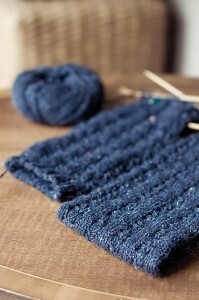 Have your knits ready to roll on the last Friday in March, March 30th 6-9. There will be tea and cookies and many pretty knits to look at. Kynna and Ann have been working away on their legwarmers. They are the Some Cloudy Day legwarmers and Kynna is knitting them up in Berocco Ultra Alpaca and Ann is working with the Rowan Felted Tweed for hers. 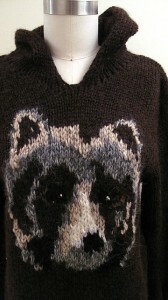 Amanda must have the most ambitious crazy knit of them all though with her O My Bear sweater! It’s possible that someone will arrive at the party with a finished Beekeepers Quilt, but until then I say Amanda is the maddest knitter of them all. This sweater is a combination of detailed intarsia/fair isle, textures, and a lovely fit to boot. Well done darling! So bring your fantastic knits Friday March 30th! This entry was posted on Tuesday, February 28th, 2012 at 10:31 pm	and is filed under Uncategorized. You can follow any responses to this entry through the RSS 2.0 feed. Both comments and pings are currently closed.